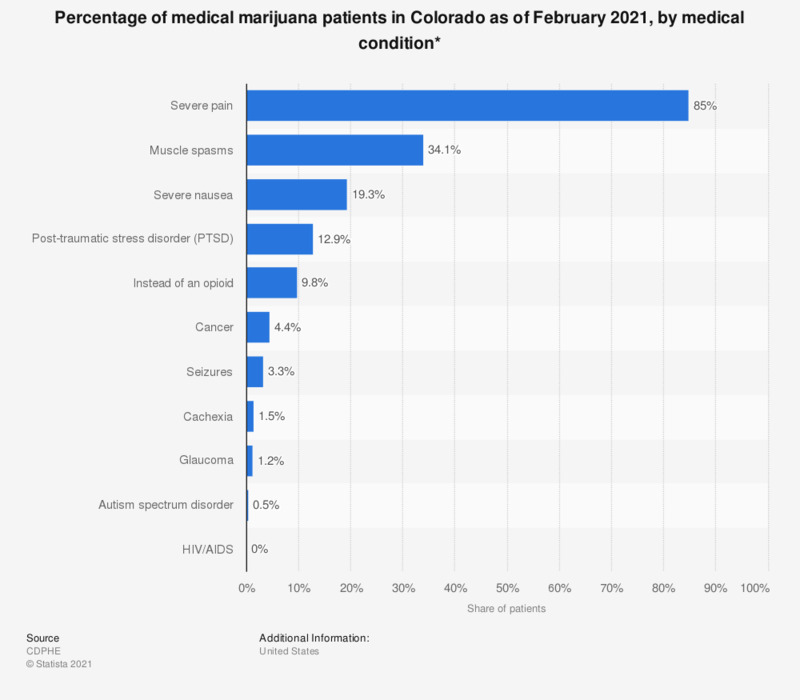 This graph presents the percentage of current medical marijuana patients in Colorado as of July 2018, by medical condition. As of that month, the share of medical marijuana patients in Colorado which reported having muscle spasms stood at 31.4 percent. * Does not add to 100% as some patients report more than one debilitating or disabling medical condition.